Singapore-based lifestyle collection the COMO Group is pleased to announce the appointment of Tapa Tibble as Managing Director of the Americas. 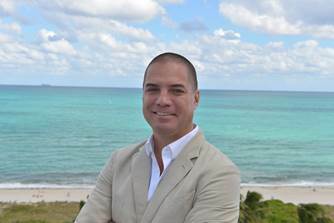 In this role, Tapa will be based in the Turks and Caicos, overseeing the Northern Caribbean’s pre-eminent private island resort COMO Parrot Cay, as well as sister property COMO Metropolitan Miami Beach in Florida — two award-winning destinations owned and managed by COMO Hotels and Resorts and the upcoming projects that are in the pipeline in the region. Tapa is joining the COMO Group from his role as Regional Director of Europe for Aman Resorts, where he was responsible for the operation of its European portfolio. Last year, he was nominated by industry leaders as ‘Hotelier of the Year’ in the Best of the Best Awards at Virtuoso Travel Week. Tapa, a Canadian-born New Zealander of Maori heritage, has a somewhat unusual education for a luxury hotelier. His studies include, among other things, a bachelor’s degree in Social Science with majors in Law and International Relations, as well as post-graduate qualifications in Strategic Studies. After finishing studying, he shifted his focus to hospitality, completing the General Manager’s Programme at Cornell University. His 25 years of experience has seen him take on a number of very prominent roles, including Shipboard Management and General Management positions in Central Australia and the Philippines with some of the world’s leading luxury hospitality brands.